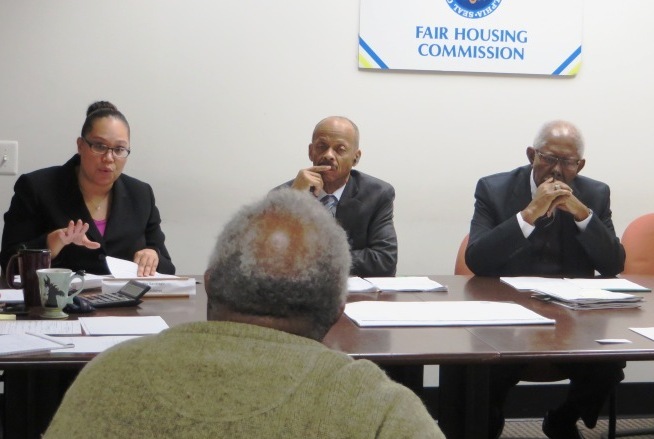 PHILADELPHIA, February 20, 2015 – The Philadelphia Fair Housing Commission expanded its ranks by two, adding two seasoned attorneys to help resolve concerns between the city’s tenants and landlords. Mayor Michael A. Nutter’s appointment of Jennifer Santiago and David T. Rammler completes the five-member panel, filling a standing vacancy and replacing Diane Canty, who stepped down after 16 years of “valued service,” said Rue Landau, FHC executive director. 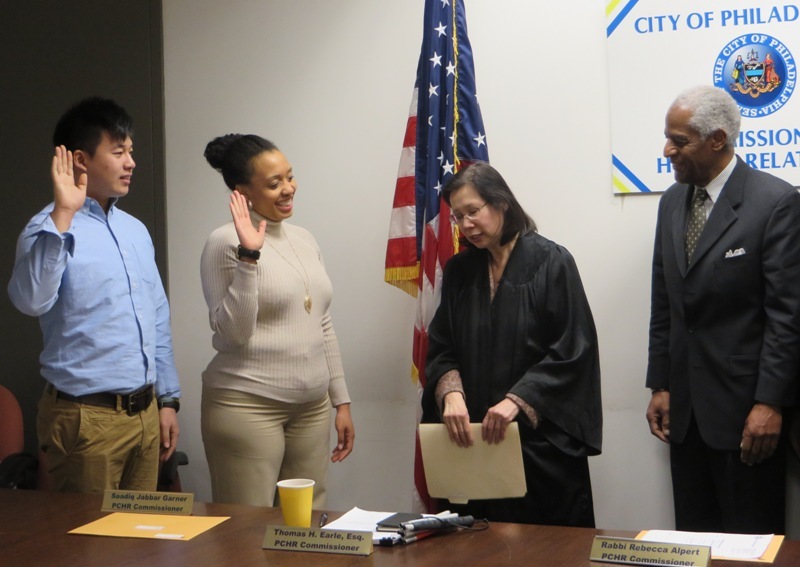 (l-r) Attorney Jennifer Santiago, the newest member of the Philadelphia Fair Housing Commission, joins Commissioners Anthony Lewis Jr. and the Rev. James S. Allen in reviewing a case with a landlord at a recent hearing. Santiago and Rammler join a trio of veteran commissioners – Anthony Lewis Jr., the Revs. Ralph E. Blanks and James S. Allen. Commissioners uphold the city’s Fair Housing Ordinance, hearing complaints about unsafe or unhealthy rental living conditions filed by citizens and investigated by FHC staff. Santiago, a private practice attorney, has served as a prosecutor and an assistant district attorney in New York, with a focus on domestic violence law. 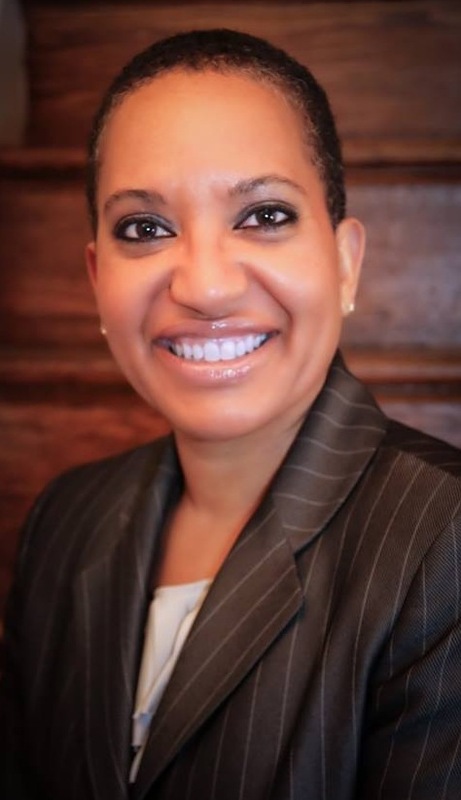 She also has amassed experience in family law while working at the Court of Common Pleas in Pennsylvania, First Judicial District, which serves Philadelphia. The bilingual Philadelphia native trained at the University of Pennsylvania and Temple’s Beasley School of Law. Rammler, a legal consultant for the Fair Share Housing Center of New Jersey, has spent the bulk of his career in nonprofit law and social services in a variety of roles, from Philadelphia to Honolulu to Washington, D.C. Previously, he served as a staff attorney and director of government relations for the National Housing Law Project, a nonprofit housing rights program. He is a board member of the National Lawyers Guild, Philadelphia chapter. He earned his J.D. from Case Western University School of Law. “The skill sets and experience level of these new commissioners are fantastic,” Landau said. “Fairly reviewing these cases, understanding the human element and applying the law, is especially important work because so many lives are directly impacted by what happens here. “We couldn’t be more pleased by the mayor’s selections,” she added. FHC is charged with diffusing and arbitrating disputes between tenants and landlords. Legally binding decisions rendered by commissioners may be appealed to the Courts of Common Pleas or other appropriate courts. It operates as a division of the Philadelphia Commission on Human Relations. Learn more by calling (215) 686-4670 or visiting www.phila.gov/fairhousingcommission. 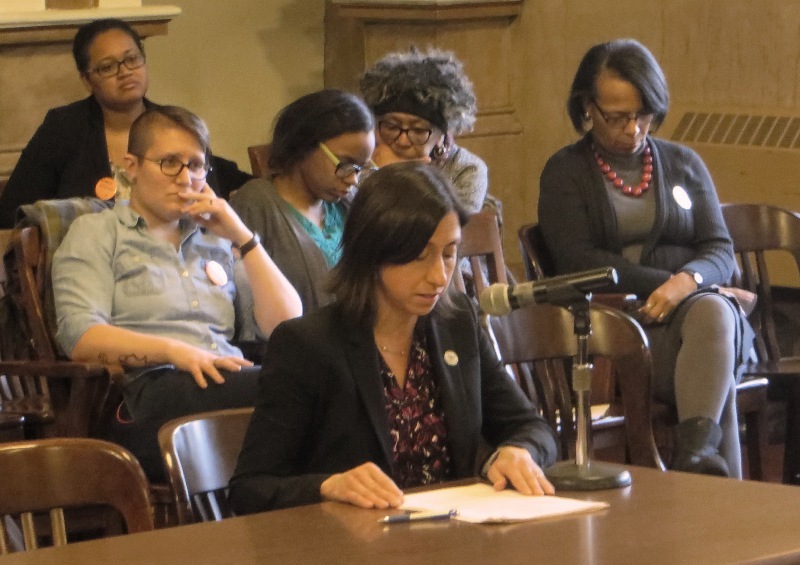 PHILADELPHIA – PCHR Executive Director Rue Landau was one of host of voices rising in favor of a proposal to institute a Philadelphia Commission for Women at a hearing in City Council on Wednesday. PCHR Executive Director Rue Landau delivers testimony during a hearing by City Council’s committee on law and government. Designed by City Councilwomen Blondell Reynolds Brown and Marian B. Tasco, the unpaid commission would study concerns and advance initiatives to help level the playing field for women and girls in the city. A set of legislation originally authored last year is winding its way through City Council and toward Mayor Nutter’s desk. Resolution No. 140244 would amend the Philadelphia Home Rule Charter to establish the commission permanently, with Bill No. 140230 allowing the idea to be put before the voters – perhaps as soon as during this spring’s primary elections. “Addressing . . . rapidly unfolding scenarios smartly and effectively could be the work of a Commission for Women, because evaluating policies that come with rising immigration or shifting employment sectors, for instance, would help alleviate the persistent and growing poverty Philadelphia currently faces,” Landau told members of City Council’s Committee on Law and Government. “Be it by ballot or executive order, creating this commission poses to be a benefit. It could lead toward greater equality by offering research-based perspectives to City Council and future mayoral administrations to better inform decisions by both. Read the full testimony here: pchr_testimony_comm4women_021815. All sworn in! Wei Chen and Shalimar Thomas officially join the Philadelphia Commission on Human Relations today after taking the oath of office from the Hon. Ida K. Chen. Wei Chen and Shalimar Thomas take the oath of office from the Hon. Ida K. Chen as Commissioner Marshall Freeman looks on. The Hon. 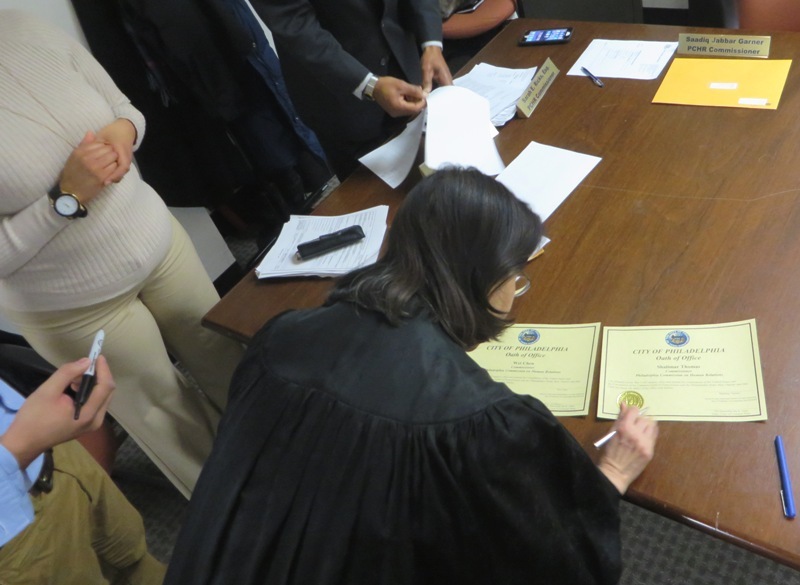 Ida K. Chen adds her signature to certify the newest commissioners. PCHR routinely serves as a stopping point for foreign visitors looking to exchange ideas and solutions, and Tuesday was no different when Maguy Salomon dropped by to swap experiences with commissioners and key PCHR staff. Maguay Salomon, a French lawmaker, contrasts her experiences to those of African-Americans and immigrants here during a meeting a lively conversation at PCHR. (l-r) Salomon, Commissioner Saadiq Jabbar Garner and Deputy Director Pamela Gwaltney. Salomon serves on 65-member council that manages Nantes, the sixth-largest city in France, a youthful, arts-and-letters locale on the western side of the country. She also directs the Louis Delgres Cultural Center, which focuses on advancing diversity and celebrating the region’s contemporary Franco-African culture and society. Nantes also has a significant history in the 18th century French-African slave trade, leaving a rich multicultural imprint even through today. A number of residents can point to historical and contemporary African and Caribbean roots, as the city remains an attractive immigration destination. Violent actions by disaffected North African Muslims in Nantes have grabbed headlines in recent months. Issues of identity and inclusion among people of color are not exclusive to the United States or foreign to France, Salomon said. With a capable translator and guide from Citizen Diplomacy International of Philadelphia, Salomon also made stops at the Mayor’s Office of Immigrant and Multicultural Affairs, the Welcoming Center for New Pennsylvanians, the Anti-Defamation League and the Historical Society of Pennsylvania to round out her trip and understanding of the city and its people. A Franco-American dialogue on culture and society. 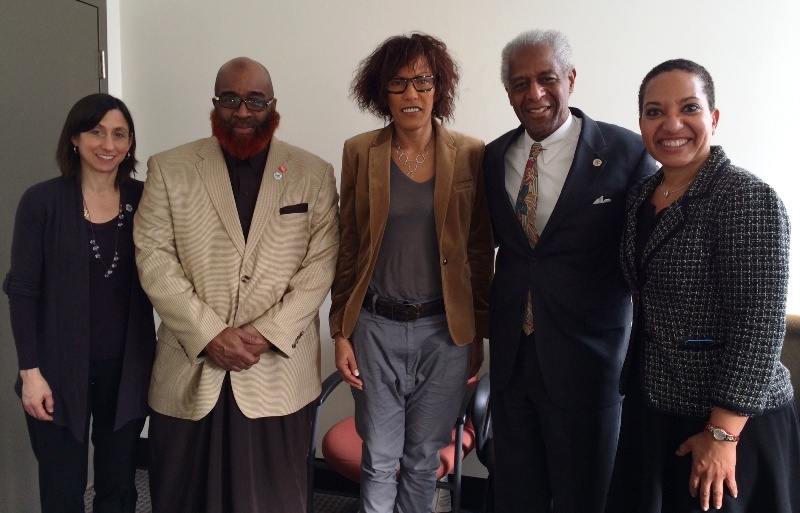 (l-r) PCHR Executive Director Rue Landau, Commissioner Saadiq Jabbar Garner, Maguy Salomon, Commissioner Marshall Freeman and Deputy Director Pamela Gwaltney. PHILADELPHIA, February 9, 2015 – Today the Philadelphia Commission on Human Relations expanded its ranks by two, adding an area businesswoman and a civil rights and youth advocate. The swearing in of Shalimar Thomas and Wei Chen on Friday will round out the commission’s complement, bringing it to a full nine members. The Hon. Ida K. Chen will administer the oath of office. Thomas, founder of a boutique public relations firm, leads the African-American Chamber of Commerce of PA, NJ and DE as its executive director. Her chief responsibilities lie in education about and advocacy on behalf of expanded development and opportunities for black-owned businesses in the region. Thomas is engaged in a number of charitable activities related to the advancement of families and entrepreneurs, including the board of New Media Technology Charter School and the National Coalition of 100 Black Women, Inc. – Pennsylvania chapter. 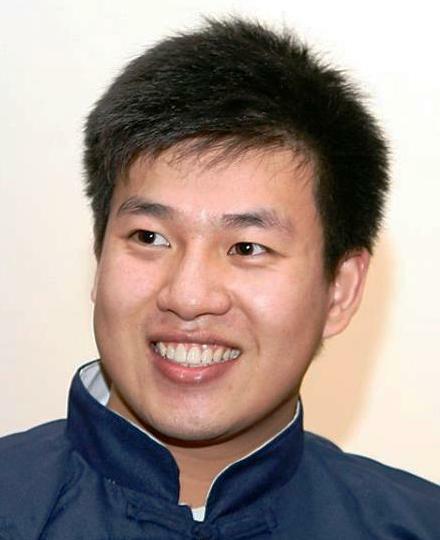 Wei Chen rose to prominence as a South Philadelphia High School student turned activist after racial strife between African-American and immigrant Asian students boiled into bullying and violence. His voice helped elevated the cause of an unheard and long suffering student population. The recipient of a Peace First Prize fellowship, he serves as a youth organizers for Asian Americans United and on the board of Victim/Witness Services of South Philadelphia. This spring, PCHR will launch an initiative examining the socioeconomic impact of cyclical change in a Philadelphia that is redeveloping rapidly. In April, the agency will host the 2015 PCHR Awards, spotlighting individuals and organizations positively impacting civil rights, human relations and quality of life in Philadelphia. PCHR is the agency charged with diffusing inter-group conflict within the city and ensuring fair dealings in employment, housing, public accommodations and real estate, as outlined in the city’s Fair Practices Ordinance, Philadelphia’s guiding civil rights legislation. Learn more by calling (215) 686-4670 or visiting www.phila.gov/humanrelations. Pamela Hunt Gwaltney is the latest addition to the PCHR senior team, taking the mantle of deputy director for compliance, responsible for overseeing investigations of discrimination claims conducted by PCHR. She assumes the post previously held by Reynelle Brown Staley, who departed to head After School All Stars, Philadelphia. A seasoned attorney, Gwaltney most recently served as assistant chief counsel for the Pennsylvania Human Relations Commission. There, she juggled a number of tasks, including serving as the agency’s education attorney, helping to ensure equity in classrooms. She also gauged the legal standing of complaints filed, oversaw legal research, prepared cases for hearings, and provided trainings on anti-discrimination law, among other duties. Prior to her work there, she made a significant imprint at the Defender Association of Philadelphia, having risen from paralegal to trial attorney to senior staff. During her tenure, she handled a range of criminal matters in both Municipal Court and the Court of Common Pleas. In her capacity, she also advocated for juvenile clients, touching thousands a year. 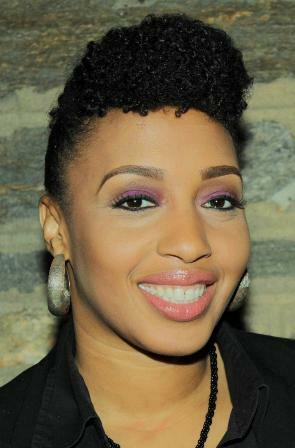 Gwaltney holds an undergrad degree from Hampton University, a law degree from Temple University and remains engaged in a host of charitable activities, such as being a troop leader for Girl Scouts of America and a member of Delta Sigma Theta Sorority, Inc.